Just when I thought I've seen every small handheld gimbal that's out there, along comes the Feiyu Tech SPG Plus 3-Axis gimbal for smartphones. With it's two handed operation, it resembles the style of traditional gimbals but in a smaller, more compact frame. It's perfect for content creators who share their videos directly on social media. One cool feature is that the SPG Plus can automatically alter between horizontal, vertical and upright modes using a specially designed altitude sensor. 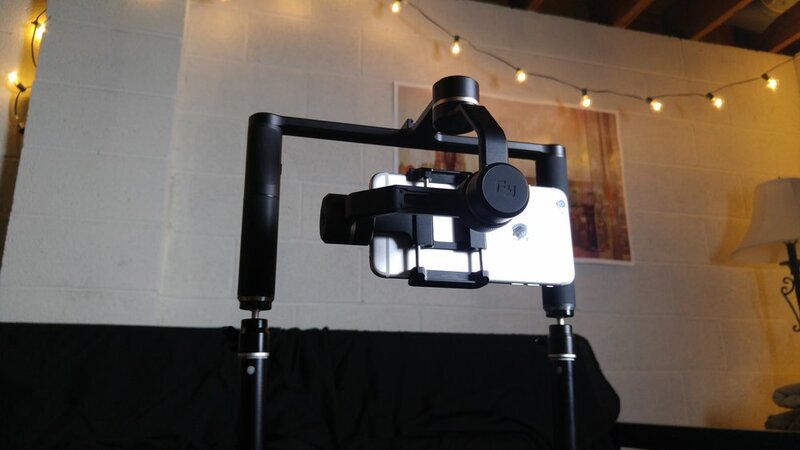 The gimbal also offers 360 degree panning, tilting and rolling. Combined with it's structural stabilization, the SPG Plus makes it easy to take perfect panoramic shots with your smartphone. In addition, the SPG Plus also has a sliding arm on the roll motor side to easily fine tune the balance of just about any phone, even with accessories like lens clips or filters. With foam spacers, the SPG Plus is also capable of flying action cams like the GoPro or Xiaomi Yi. Accessory wise, the SPG Plus features 5 1/4-20 threads - three on top and two on the bottom of the handles for attaching a top handle, lights, mics or other accessories. Feiyu Tech also released a companion app which allows you to initialize gimbal calibration, update the rig's firmware and customize settings. The SPG Plus is powered by a massive 22650 Li-Ion battery that offers up to eight hours of shooting. Recently I've become pretty gimbal weary, especially for mobile phone or action cams but I was pleasantly surprised by the SPG Plus. With it's sleek two handle design, and auto balancing features, it's truly a unique entry in the crowded world of lightweight gimbals. If you have any questions about the Feiyu Tech SPG Plus, hit me up in the comments below.